The fear of traveling alone is so intense for some people they simply do not travel solo and some do not travel at all. 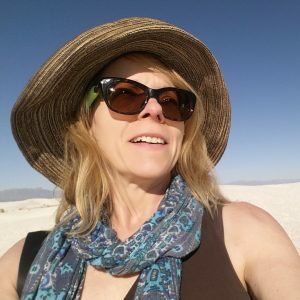 I have had many conversations with people that long to travel but are afraid to travel alone so I decided I would write a new series on Solo Trips And Tips about the issues that cause people anxiety about traveling solo. This is the first post in the series Fear Traveling Alone? I used to have a fear of traveling alone to South America for years because I could only speak English and I believed it was necessary to be able to speak the local language in order to get by in South America. Every time I listened to someone tell me about their extraordinary trip to the Amazon, Bolivia, or Rio, I would feel a twinge of jealousy. I wanted to overcome my fear of traveling solo to South America. I had already traveled alone to Indonesia, Malaysia, Singapore, and Thailand and did just fine speaking only English and learning a few phrases of the local language. The exception being Indonesia, where I spent four months of my travels, and I actually learned enough Bahasa Indonesia to do my bargaining in the local language and carry on simple conversations. I managed fine even though I only spoke English while traveling in Asia but a lot of the local people spoke some English and there were plenty of other travelers who spoke English. My concern in South America was that there wouldn’t be very many English speakers in certain areas and my Spanish vocabulary consisted of about ten words. So why did I book a solo trip to São Paulo and Rio de Janeiro where the local language is Portuguese? I suppose my sense of adventure and my desire to escape the intense heat of summer in Texas trumped my anxiety of not knowing how to speak the local language. Nearly free airfare was also a motivating factor. I booked the flight using 40,000 American Airlines frequent flyer miles and paid only a small fee for the taxes. Anxiety set in a few days after I booked the trip. How will I communicate with people? I have mentioned before that I am directionally challenged so I get lost a lot when I travel. How would I ask anyone directions when I got lost? I dashed off to the library and checked out a copy of the language lesson Pimsleur Portuguese. I listened to the CD’s in my car and at home. I repeated the phrases over and over. I thought I was doing pretty good! When I arrived in Rio the only Portuguese words that stuck in my brain were hola, ciao, and eu não falo Português which means I do not speak Portuguese. I used the phrase eu não falo Português a lot because people would just start speaking to me in Portuguese assuming I knew the language. I would smile and reply eu não falo Português and unfortunately that was the end of our conversation. I really missed out on interactions with locals due to my lack of Portuguese. That was a negative but on the plus side, I think one becomes more observant of actions, body language, and mannerisms when language is a barrier to communication. 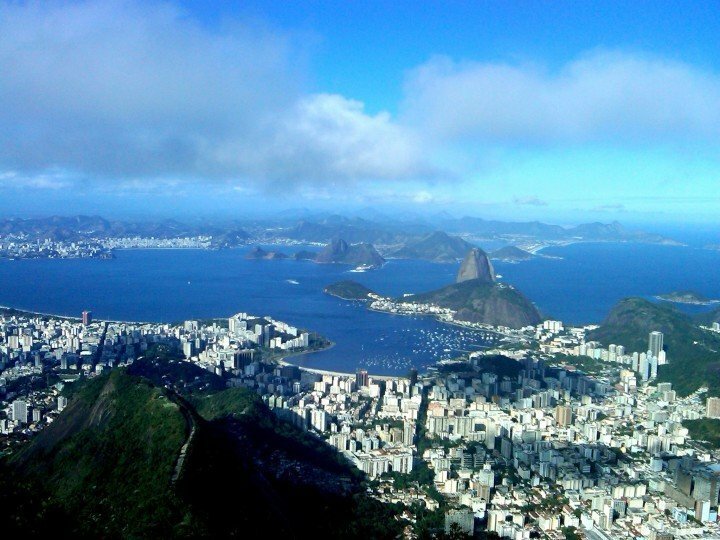 I stayed at hostels in São Paulo and Rio. In São Paulo there were several Brazilians staying at the hostel but they all spoke English and in Rio the hostel staff were Brazilian but spoke English and all my roommates in the dorm were from Australia. When I was out on my own I definitely experienced the language barrier and felt inadequate being a monolingual speaker but I didn’t let it bother me. I decided I would get serious about learning Spanish when I returned to Austin. I tried learning Spanish using the Pimsleur program and another one that I checked out from the library. I repeated the phrases over and over and felt I had a good grasp of the basics so I started to listen to the intermediate lessons and I couldn’t follow a thing they said. They spoke so rapidly I couldn’t catch all the words or figure out when one word ended and another word began. It sounded like one long word for each sentence. I was losing my enthusiasm for learning Spanish – it was too difficult. Maybe if I could see the words and write them down it would help me remember and decipher the fast talking Spanish on the intermediate lessons. I chose to enroll in Spanish I at Austin Community College but the class would not begin for a few months. The classes were scheduled for Saturday afternoons from 1:00 – 3:20 and on Friday evenings from 6:00 – 8:20 pm. I was excited! I would finally be getting some formal Spanish language lessons. My lack of Spanish didn’t stop me from booking another solo trip to South America. I attended the art exhibit Recovering Beauty: The 1990’s in Buenos Aires at the Blanton Museum of Art in Austin in the spring. Afterwards I began daydreaming about Buenos Aires. I started reading up on the city and one day I started looking at flights to Buenos Aires. Dangerous behavior for me. I remember my finger hovering over the keyboard as I reviewed the flight itinerary. Should I book it? Should I wait until after I learn some Spanish? I was feeling uncertain. Then I asked myself a better question. Have you ever regretted taking a vacation? Click. Flight booked for November, springtime in the Southern Hemisphere. Spanish class increased my enthusiasm for learning the language and helped me to start communicating in Spanish while traveling. I took trips Cartagena Colombia and Manzanillo Costa Rica after completing my first Spanish class. I enrolled in Spanish II in the fall of 2012. Shortly after completing the course I was off to Colombia to visit Bogotá, Medellin, and Cartagena over the Christmas holidays. Can I speak Spanish fluently now? Not even close! I will be learning Spanish for many years to come. Learn a few basic words of the language: hello, good day, goodbye, please, thank you. Making an effort goes a long way with the locals. Bring a phrase book or dictionary with you so you can look up the words as needed. Jot down phrases you know you will need such as “do you speak English?” or “where is the bathroom?” The more often you use the words the better they stick in your brain. Writing things down helps me remember better. Use hand gestures to help you communicate. Bring a pocket-size notebook so you can draw pictures to aid in communication. Bring a guidebook – a decent guidebook will have a section on the language with key phrases. And if you get lost you will have maps to aid you and show to people who could point out the directions to you. Use Google maps to look up the address you are staying at – print out the map including the surrounding blocks. Carry this with you always so that you can find your way back to your hotel/hostel or apartment. Just beware that sometimes Google maps is wrong. Type out lists of places you want to see or specific restaurants you want to try. Write the names, addresses, etc in both English and the local language if you can – use Google translate. Print the document and bring it with you so you can show someone the name and address of the place you are looking for. Remember that at tourist sites you have a good chance of meeting someone else who does speak English. The staff at tourist sites often speak some English. Remember to smile and say hello – walking along the streets in Mexico City a couple of months ago I noticed people wore rather serious expressions on their faces. At first I was a little intimidated, then I started to smile and say Buenos dias to the people I passed by on my morning walks. Instantly they responded to my greeting and the serious expressions melted into warm smiles. I’m Rachel. I also sent an email but not sure it went through. I just found you online while researching a trip I’d love to make to China. I’ve enjoyed a few or your blogs and just read the one about Xi’an and the fear of traveling without knowing the language. I’m still in the process of deciding what I’d like to see in a short 2.5 week trip, but I’m becoming real concerned about the fact I do not know the language at all. I’ve been fine in Europe because most speak English and I can at least read the language. But the thought of not being able to read signs or ask for directions unless I have my destination written in Chinese scares me a little. And I read where the hand signs for numbers aren’t even the same lol. I’d love advice. Bonus! I I live near Birmingham and you are due there in February?! Would love to meet you. Hi Rachel, thanks for the comment. I suspect travel to China alone will be challenging, but in a way that is part of the fun, depends on your comfort level with uncertainty I suppose. I think a lot of people set up a tour when they visit China for only a week or two so that the basic transportation is taken care of and maybe some tours at major attractions in each city. The trip I took was booked through Austin Community College, so I didn’t have to plan anything. I spoke with a friend that visited China and he booked a tour, almost the same as the one I did with the college. Started in Beijing, overnight train to Xi’an, and fly to Shanghai, fly home from Shanghai. Which cities are you thinking about visiting? As far as language barrier, that will be challenging for sure. I think I would bring a print out of some basic words and phrases, and bring a phrase book. You can get by with hand signals for some stuff, and bigger or fancier hotels will have English speaking staff. Are you planning on staying in hotels, or hostels, is there Airbnb in China? I need to look that up for future reference. Perhaps we will meet in person in Birmingham, I sent you an email.